March 18, 2013 By // by Frugal Patti 5 Comments This post may contain affiliate links. This means I make a small commission if you make a purchase, at no additional cost to you. See my disclosure for more information. While watching the Dr. Oz Show last week, I saw a very interesting interview with the Duggar family. If you’re not familiar with them from their reality show, they are a large family with 19 children. Unlike most of the large families we are familiar with from the news, this is a family grown the old fashioned way (not a large number of multiple births). What really impressed me was how well mannered, respectful and well-spoken the children were (especially the older ones). The family has very strong beliefs, with a focus on God, family and frugal living. The Duggar family is such a great example of frugal living while still living well. The family was not only well dressed and didn’t seem to be lacking in any way; but discussed how they made a commitment to living debt free. They make many things themselves that most of us take for granted. One of the children showed how she made homemade laundry soap, while another showed how he made homemade pickles. You can find the Duggar family frugal recipes at The Duggar’s Family Recipes . 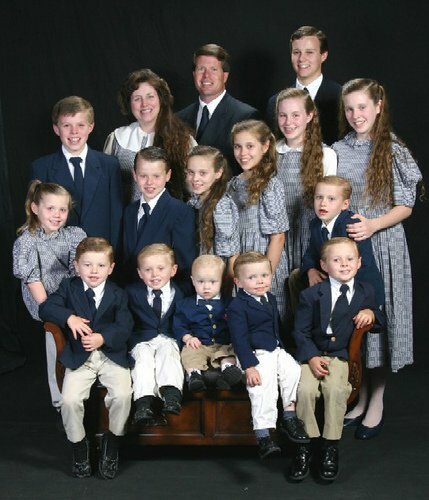 The Duggar family homeschool their children. They eat well. They clothe the family well by shopping at consignment stores. They keep the family organized through an application called Cozi Family Organizer (available free for iPhone, android and a web version at Cozi.com). The parents keep their relationship strong by keeping a weekly date night, where they focus on strong communication. I love this example of frugal living. They focus on what is important in life, God and family; and live well and debt free through living frugally. October 17, 2012 By // by Frugal Patti 5 Comments This post may contain affiliate links. This means I make a small commission if you make a purchase, at no additional cost to you. See my disclosure for more information. Our society has moved through the years from repairing something when it broke, to replacing the item without even attempting to repair it. In the past when an electric cord was frayed, the cord was repaired; often today the appliance will be in the land fill before the cord has time to wear out. We’ve all heard from a repairman that an appliance will cost more to repair than to replace, at one time or another. This may be the case and it may not. We have so many internet resources available to us, that we can at least do a little research before blindly trusting someone else’s opinion. This situation really hit home when my family was put in the repair or replace dilemma. The other day I noticed that my washing machine wasn’t washing as it once did. The agitator was barely moving around, and I knew this wasn’t a good thing. I have been in such a habit of putting the clothes and detergent in and just closing the lid, so usually don’t even look at the clothes washing. I hope this hasn’t been going on for long. I pointed out the new finding to my husband who of course wasn’t happy, but soon looked up the issue on YouTube. He found out there were some broken pieces in the agitator, it was easy and quick to fix, and the best news yet, the new pieced were available through Amazon for a little over $3 with free shipping. Within a few days the small plastic parts arrived and with 15 minutes of repair time, the washer was back to agitating like new. SUCCESS! I know that part of the problem is that the products we purchase and consume aren’t made with the quality that they once were. We often will buy something just looking at the price and don’t think of quality or how long the product will last. There are many times when we are able to save money in the long run by spending a little more to purchase for quality initially. On the other hand, the high quality items that were once made to last, may no longer even be manufactured and some products are even now designed to be disposable. Not everything can or even should be repaired. There are times when it’s not cost effective to repair the item. Maybe the labor costs are too high and it’s not an item that you or a family member can manage. There are other times when the repair may be close to the cost of a replacement and the benefit of a warrantee with the new item will outweigh the extra cost. It’s always good to consider all your options, educate yourself with available resources (internet search, YouTube search and the manufacturer’s website are all good places to start) and made a wise decision that works for you and your family. You never know. You just may be able to find that perfect $3, 15 minute fix to your problem too. October 5, 2012 By // by Frugal Patti 12 Comments This post may contain affiliate links. This means I make a small commission if you make a purchase, at no additional cost to you. See my disclosure for more information. Expensive chemical laden laundry products can not only damage our environment, but also the clothes we are trying to clean and protect. With these easy recipes, you can make your own laundry detergent both cheaper and safer. 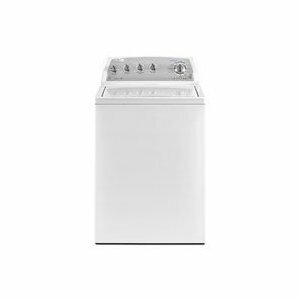 Add a cup of white vinegar to your washer’s rinse cycle for a frugal laundry booster. This will whiten your whites, brighten your colors, eliminate static cling, remove lint, prevent the dye in new clothing from running, kill bacteria, remove soap residue from fabric and your washing machine, soften your laundry and neutralize any odors. Put grated Fels Naptha in saucepan and cover with water. Heat on low until dissolved. Fill bucket with hot water and add soap. Stir to combine. Add 1 cup washing soda and 1 cup borax and mix well. As it cools, it will thicken. If mixture becomes too thick, add hot water to thin it to desired consistency. May be used immediately. Mix well before each use. Use 1/2 (normal) to 1 cup per load (heavy). Cost per load .04. To make a large batch – grate 6 bars of Fels Naptha Soap and then add 3 cups of Washing Soda and 3 cups of 20 Mule Team Borax. Mix well and store in covered container. TIP: The above recipes will NOT make suds in your washer so don’t be alarmed. Fels Naptha Soap is a pure soap and typically makes little or no suds in the water. 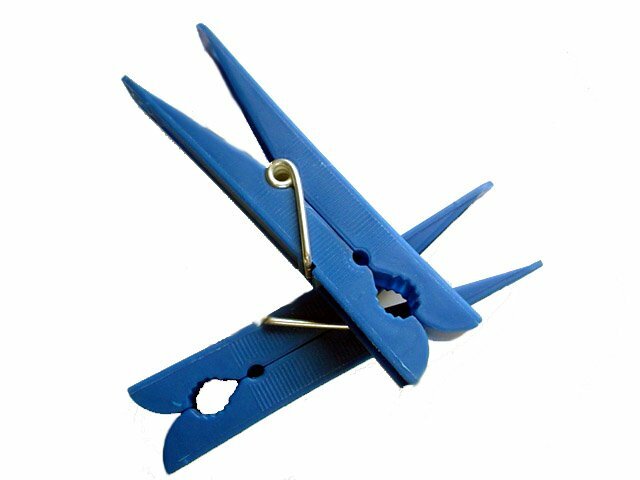 This makes it perfect for use in the new HE washers as well as traditional washers. You will also notice the need to either reduce your laundry softener or in most cases you can even eliminate the use of softener completely. October 2, 2012 By // by Frugal Patti 9 Comments This post may contain affiliate links. This means I make a small commission if you make a purchase, at no additional cost to you. See my disclosure for more information. Vinegar makes natural laundry stain removal a snap. 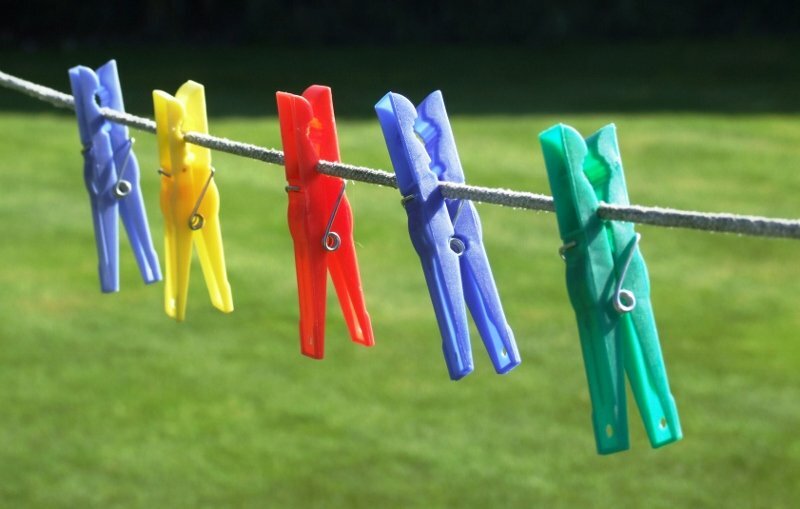 Learn how to treat your toughest laundry stains with white vinegar and a bit of elbow grease. Fast action is the cure for bloodstains. Pour vinegar over the stain, and allow it to soak for fifteen minutes. Then, rinse with cool water, and repeat if necessary. Wash immediately after. Flush the area with vinegar to remove the stain. Rinse and repeat as needed. Then, wash as usual. Rub vinegar into the crayon stain with a brush (an old toothbrush works great). Then, toss in the wash.
Rub vinegar into the stain until it disappears. Then, launder as usual. Apply vinegar to the stain with a sponge, and lightly dab to lift. If the stain persists, make a paste of vinegar and baking soda, and brush it into the stain with an old toothbrush. Then, wash as usual. Soak the stain in undiluted white vinegar. Then, wash as usual. Apply vinegar to the stain. Then, rub with a paste made of vinegar and baking soda. Let dry. Then, wash.
Soak a rag in vinegar, and use it to dab at the scorched area. Then, blot the stain with a clean rag, and it should lift the stain. Note: It may take more than one application to fully remove the scorch mark. Apply vinegar to the stain, and allow it to soak in. Then, spot treat with a bit of laundry detergent, and wash.
Pour vinegar over the rust stain. Then rub coarse salt into the stain (table salt will work if it’s all you have). Place the garment out in the sun to dry. Then, wash.
Saturate the stain in vinegar. Then, rub with a paste made of vinegar and baking soda. If the stain persists, add a couple tablespoons each of vinegar and laundry detergent to a bucket of water, and soak overnight. Rinse and wash as usual. Pour vinegar over the sweat stain. Then rub coarse salt into the stain (table salt will work if it’s all you have). Place the garment out in the sun to dry. Then, wash.
Saturate the stain with vinegar. Allow it to soak in. Then, wash.
Rinse the garment in cool water to remove as much of the vomit as possible. Then, soak the stain in vinegar, and wash. If stain or odor persists, repeat the process. Saturate the stain in vinegar, and allow to it stand for several minutes. Then, rinse with water, and repeat the process, if needed. Wash immediately after process. September 27, 2012 By // by Frugal Patti 1 Comment This post may contain affiliate links. This means I make a small commission if you make a purchase, at no additional cost to you. See my disclosure for more information. Natural carpet cleaners and deodorizers can easily be made out of household products you may already have in your home. There is no reason to introduce expensive and toxic chemicals into your home, when these homemade and natural alternatives are available. Recipe 1: Mix white vinegar and baking soda into a paste. Work the paste into the stain with an old tooth brush. When dry, vacuum up baking soda. Depending on the stain, this process may need to done twice. Recipe 2: Soak spot immediately in club soda and blot until spot is gone. Recipe 3: To remove grease spots, blot up as much liquid as possible then rub a liberal amount of baking soda or corn starch on the spot. Let sit overnight then vacuum in the morning. 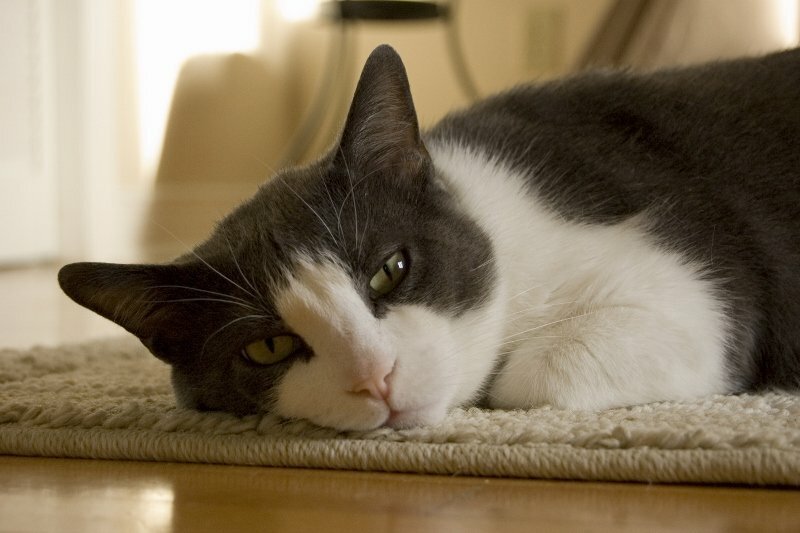 Recipe 1: Sprinkle baking soda on carpet, leave on 15 minutes or longer, then vacuum as usual. This will naturally remove pet and other odors from your carpet. Recipe 2: For a fragrant carpet freshener, combine 4 cups baking soda, 35 drops Eucalyptus essential oil, 30 drops Lavender essential oil, and 25 drops Rosewood essential oil (or any combination of essential oils), mix in a bowl breaking up any clumps to disperse the essential oils. Sprinkle mixture on carpet and let sit for at least 15 minutes before vacuuming. Fill the carpet cleaner with a mixture containing equal parts of white vinegar and warm water, then clean according to the manufacturer’s instructions. First blot area, then add a solution of white vinegar and water. Blot again until almost dry. Sprinkle baking soda over the area then let dry completely. Vacuum up the baking soda residue the next day. Mix a solution of 1 cup of white vinegar in 1 bucket of warm water. Scrub carpet with a brush or broom then hose off.